Now available in print, eBook for Kindle and Nook! Featuring Marina the Fire Eating Mermaid of Fort Lauderdale on the cover, too! Set in New York City and the Florida Keys in 1956, Murder on Tiki Island is a noir-style murder mystery ghost story that follows Detective Bill Riggins (Murder Behind the Closet Door) through a series of strange, unexplained events surrounding a murder and paranormal phenomena on Florida's world-famous Tiki Island Resort. Influenced by the style made famous by pulp fiction's greatest authors from Raymond Chandler to Mickey Spillane, Murder on Tiki Island weaves an intricate web of lies, murder, and the occult shaken with a shot of hot dames and a chaser of cool tropical breezes. Penned by "Tiki" Chris Pinto, author of the noir mystery ghost story Murder Behind the Closet Door, this 1950s style thriller will keep you hanging on edge from the first sentence to the last. Pinto writes in a "neo-noir" style, fluidly combining the vintage style of the great American crime novelists with a modern, fast-paced feel. The overall effect is a thoroughly enjoyable, spooky and adventurous book that transports you to a bygone era in a tropical setting. Swing back to 1956, when jazz and rock 'n' roll both ruled the airwaves, giant finned cars ruled the roadways and Tiki Bars were the hottest spots on the nightlife scene. Riggins, a New York City detective, takes a 'forced vacation' to Tiki Island in the world-famous Florida Keys and Key West. Once there he gets mixed up with the seductive daughter of the resort's wealthy owner; gets taken for a wild ride by a beautiful blonde bombshell; and gets himself suspected of a brutal murder. Skeletons, mermaids, Mai Tais, Exotica music, fishing and phantoms all come together to make this Key West murder mystery a fun, old-fashioned pulp noir novel that's sure to please anyone who digs the mid-century scene, or just loves plain old fashioned noir-style detective novels. Tiki Chris Pinto's Florida Keys murder mystery will have you spooked and guessing throughout the entire story, with a few twists that will get you saying, "Wow, daddy-o! Dig that crazy scene!" Check back here or visit the Facebook Fan Page for updates. Also available by author Christopher Pinto: Murder Behind the Closet Door: The Wildwood Paranormal Mystery. 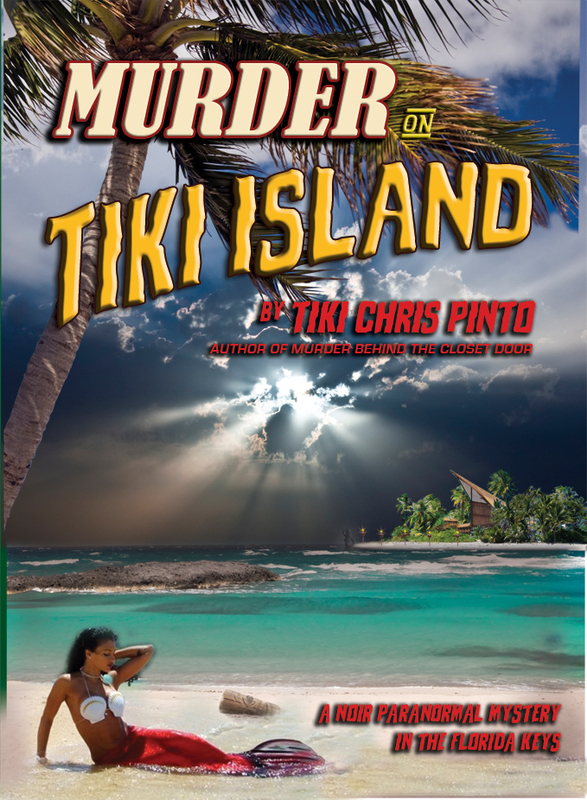 Keywords: Murder on Tiki Island, Key West, Murder in Key West, Florida, Florida Keys, Paranormal, Occult, Murder Mystery, Noir Mystery, Noir Fiction, Christopher Pinto, Tiki Chris Pinto, Ghost Story, Fiction. Copyright 2011 StarDust Mysteries Publishing. All Rights Reserved.